Sofa、Bedding products、Curtains、Sofa/Table covers、Upholstery and so on. 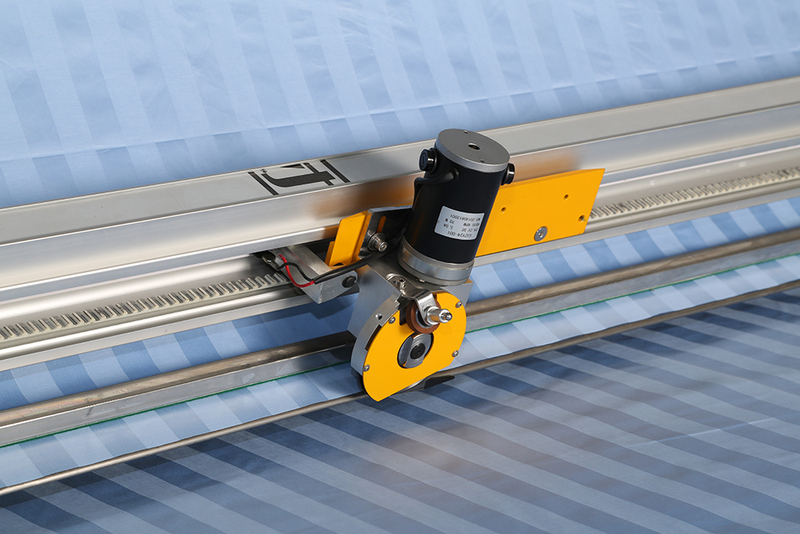 Automatic edge alignment function ensures the edge of fabric in line , saving huge waste of fabric . Count Layers Function: automatically count the number of layers being spread. 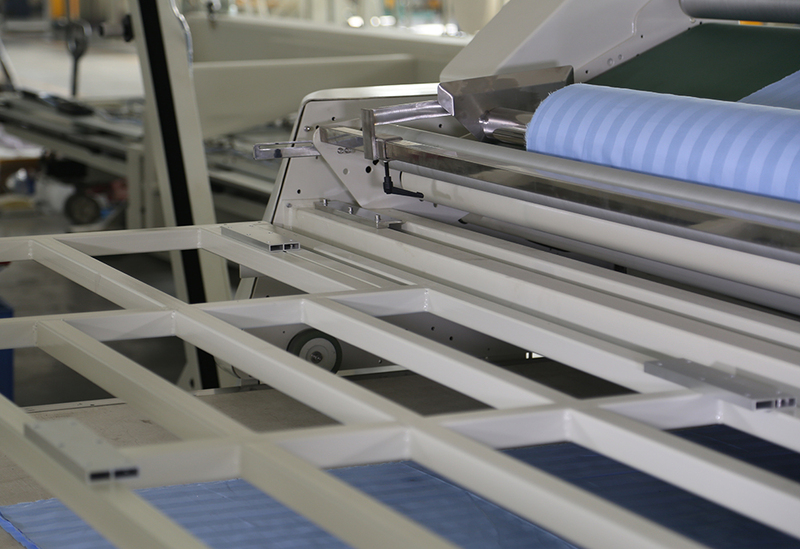 Reture to start point when fabric being spread is finished, then automatically stop Edge Alignment function, wait for new roll of fabric loaded. 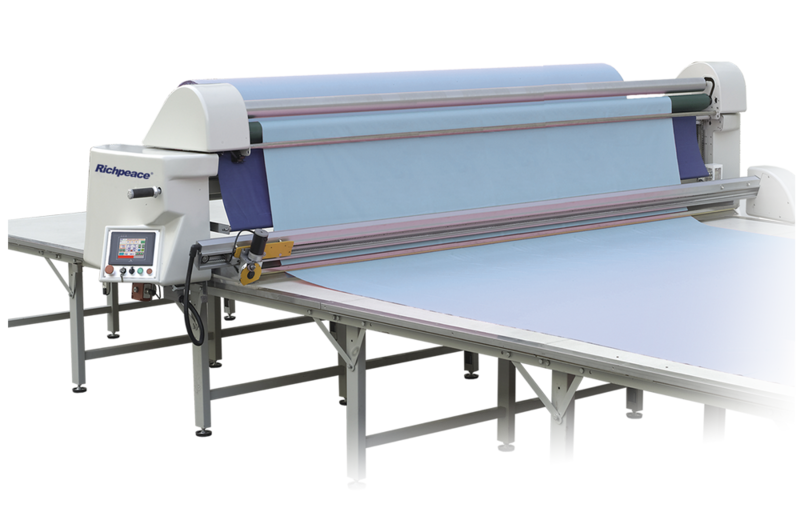 Base on different customers' requirement, we can supply optional automatically Fabric Load device, help tp upload to heavy roll of fabric . If power failure occur while machine is working, all the spreading data is being kept in machine memory, when power supply reture to normal, can continue the last job after find the position of failure . Equipped with remote Control Unit, can stop machine within 30m distance range. Muli-programs setting: can spread different length of fabrics in one process. 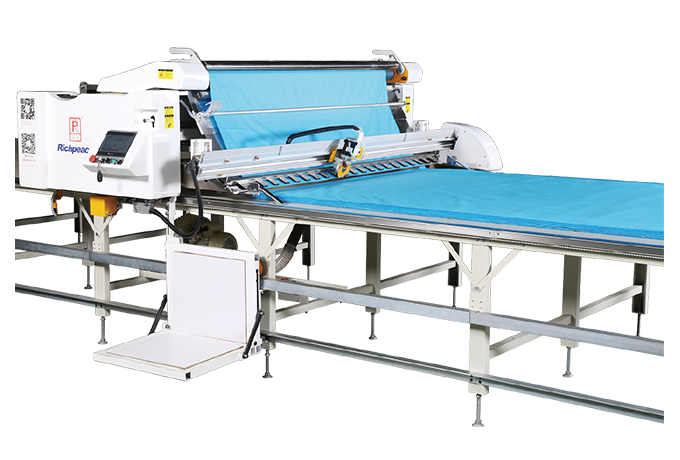 Special new desgin fabric feeding system, ease the fabric load process and will not damage fabric. 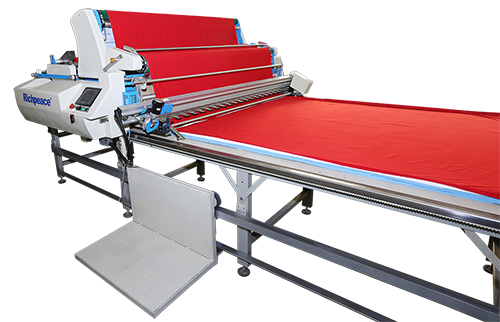 New Zigzag shape fabric presser, distortion will not occur although after long timesusage, effectively increase fabric presser function.Zigzag presser can rotate 90°C to faciliate fabric cut work. 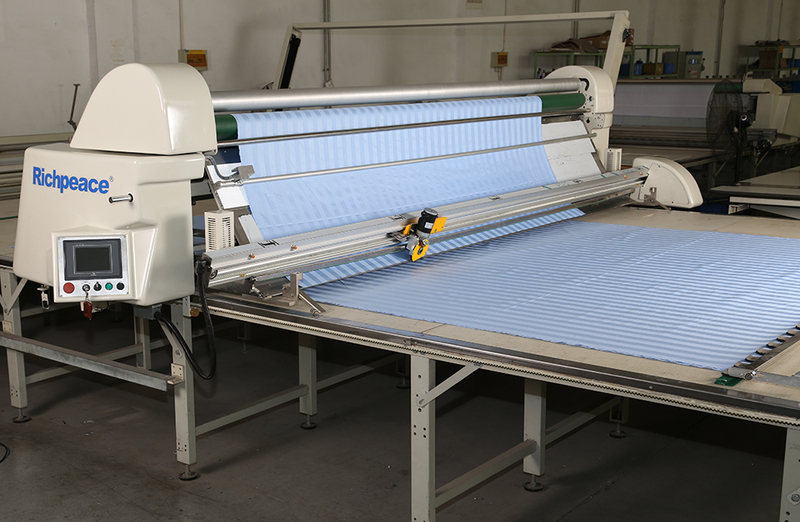 Inverter motor is used by fabric Load Device, makes fabric load more stable and reliable. 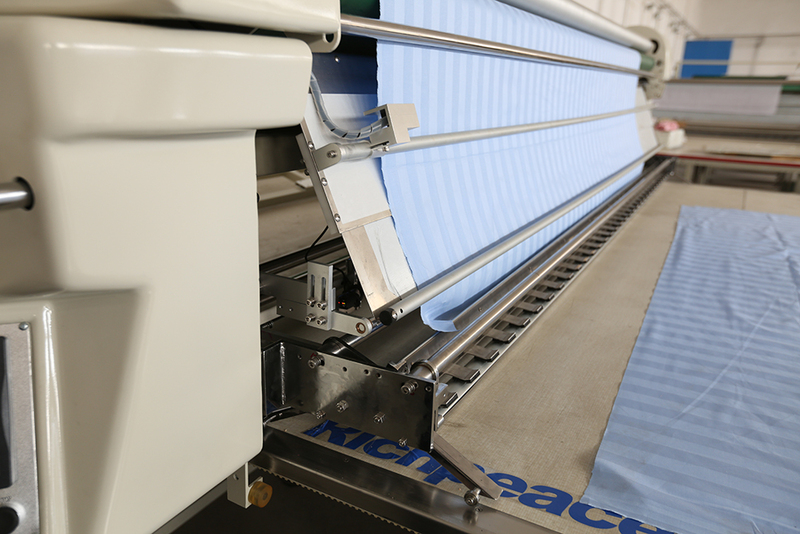 Failure mark cheacking function: Before spreading a specific roll of fabric, its defect points are being manually cheacked and marked by using Fabric Inspecting Machine. After that, it is being spread according to specific set spreading lengths; spreading machine can recognize those defect points and stop automatically. Fashionable streamline design chassis reduces air resistance, noise and vibration. Add new spread device, use a belt to deliver cloth.